Compudynamics South Africa offers retailers from one store to a multi-store environment a complete Retail Solutions for all Businesses supporting Single Till and Multi till. Compudynamics team has over 20 years experience in providing solutions to retailers in areas of software development, consulting, project management and implementation of Head Office systems as well as Stores systems. Our Solutions are designed for Central consolidation and control, with powerful Reporting and Merchandise management features. Our Solution caters for all type of retailers from Fashion, Clothing, Footwear, Spares, Tyres, Fuel Retail, Pharmacy and many more. With our partnerships with the most reputable providers of retail solutions for all businesses in South Africa, Compudynamics can offer the best suitable retail solution to your business depending on your business needs. 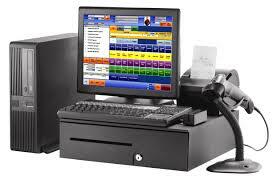 All our Solutions offer Centralized Head Office Systems as well as Point of Sale for the Stores. We have a Software Development team that is able to integrate our solutions to any other application your business may require. Contact us for a free demo on our Retail Solutions for All Business.